Train in from New Jersey to New York was a lot cheaper than in 2001. Not only is our dollar better than parity, with us only receiving 51 US cents for our dollar back then, but we had the girls with us and we bought two days’ worth of return tickets. This trip one-way cost under $30! Imagine if you didn’t work it out properly and you took a plane between destinations, from NJ to NY, and then having to get to and from airports! The time and expense and waste of a day would be crazy. 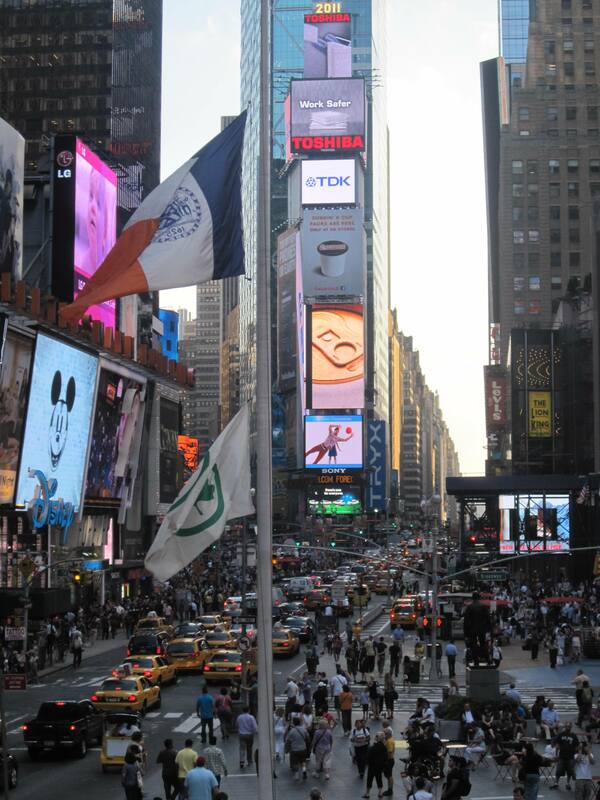 In my infinite wisdom, to avoid escalators or stairs in the subway after arriving at Penn Station New York, I suggested we walk to the hotel up on 7th Avenue and 55th Street. I had envisaged it would take about ¾ hour, because I had google-mapped directions which said walking would be half an hour. Tired hot bunnies finally arrived after an hour at their destination, the Wellington Hotel. Check-in time was ridiculously late, at 3pm, so we had to sit around awhile waiting for our room, which they upgraded to a king-size bed. Out of all the accommodation we have had through this trip, I think the shower at the Wellington was the best, with wonderful water pressure. It also had a bath, very necessary at times after lots of walking. Hitting the street after a cup of tea with our trusty travel kettle, we made our way down to 47th Street and Broadway to “Tkts” where you queue up after 3pm to buy reduced price tickets for one of the shows. We bought tix for “Rock of Ages” for $76 each (plus tax), a saving of 40%, which played at the Helen Hayes theatre. A girl was handing out vouchers for free Tequila once you had purchased your ticket. We availed ourselves of this offer, as this was the one we had already decided to go to. I love an unexpected bonus. We had been told we were nine rows from the front, so we thought that sounded special, but it turned out we were also six or seven rows from the back, as it was a small theatre! It had an intimate feel about it, as we brought our Margharita in its plastic cup to our comfortable seats. I enjoy this trend of taking song hits and building a live musical around it. In this way it was similar to Mamma Mia, but with 80’s songs and a lot of comic relief. A few moustached men were in it too, so I was happy! 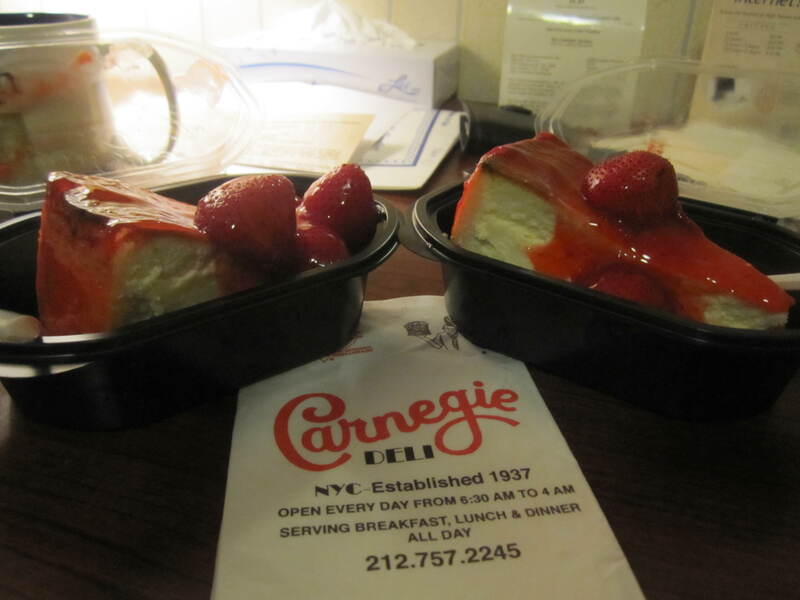 Diagonally across the road from our hotel sat the renowned Carnegie Deli. 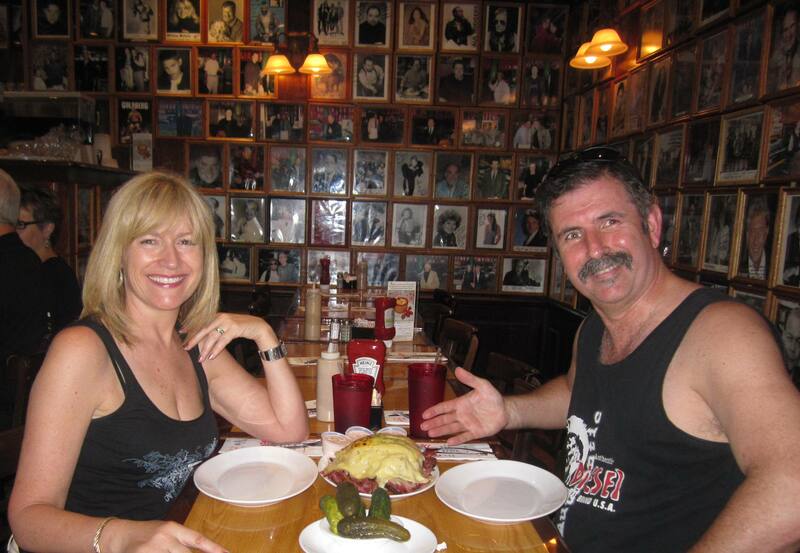 The walls are totally covered with autographed, framed photos of celebrities. We shared a Reubens open sandwich which was delicious. The waiter brought out a bowl of dill pickles to start, which is a tradition and quite tasty. Dutchy is a great fan of “Man versus Food” in which Katz’s Deli is visited, but this was far more convenient and probably very similar. This ended up being a very late lunch or early dinner, as we had to be at the theatre by 7pm, so when the show had finished we returned to the Deli and purchased a piece of Baked New York cheesecake with strawberries. It cost $12.95 but they cut the huge serving in half and placed them into two containers to take away, with a plastic fork and serviette. That way we could have it for supper in our room, with a cup of tea. Dutchy thought he didn’t really like baked cheesecake, but obviously he had a previous bad experience. He is a convert now, as can be testified to by the fact that the following night we shared the Truffle Torte cheesecake for dinner!! Decadent but delicious. 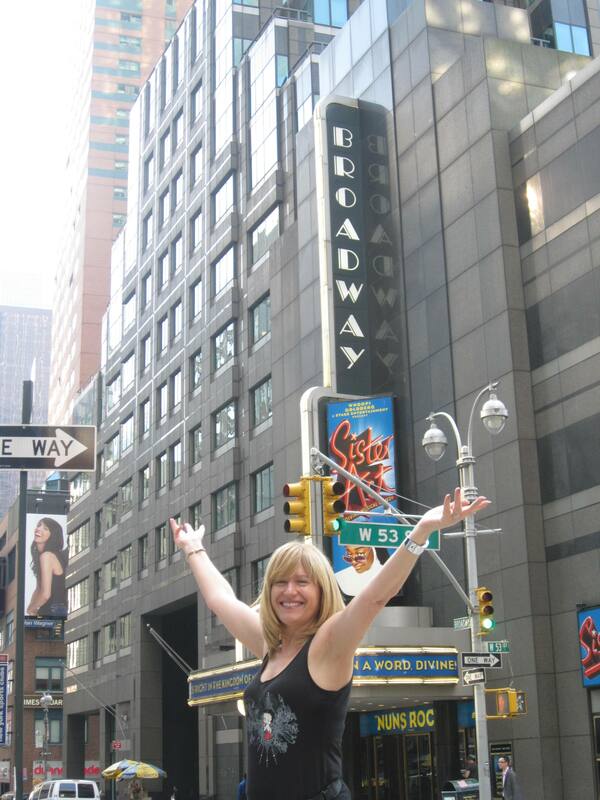 This entry was posted in USA and tagged Broadway, Carnegie Deli, New York, Rock of Ages. Bookmark the permalink.